Round 8 of the 2017 AFL Season kicks off at Domain Stadium in Perth on Friday night with the West Coast Eagles hosting the Western Bulldogs. 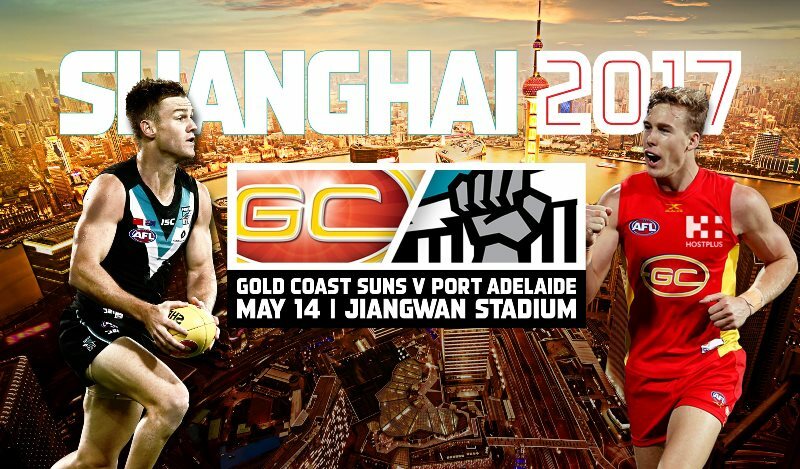 The historic match played in Shanghai between the Gold Coast Suns and Port Adelaide will be broadcast live in China on GZTV and SMG (with Mandarin commentary). 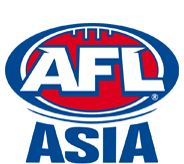 There has been much hype surrounding the historic and monumental first ever AFL game to be played for Premiership Points within Asia, between Port Adelaide and the Gold Coast Suns in Shanghai, China on Sunday May 14th 2017. However, the anticipation and excitement within Asian Footy circles about the Team China versus the AFL Asia Lions game is being held in a similar regard, as the game will for the first time showcase the best Asian-born footballing talent on the big stage at Jiangwan Stadium, directly after the Port Adelaide Power and Gold Coast Suns game. You can find this article and more at Joe's Blog here. This week over a year’s worth of groundwork and preparation come together as Port Adelaide and Gold Coast take the field for a Round 8 match at Jiangwan Stadium (capacity 10,964) in China on Sunday, May 13. This game is the first ever to be played for premiership points in China, and it became official in April 2016. Last October we learned the Gold Coast Suns would be the opposition. This is the crown jewel in a new agreement between Port and China, but it’s far from the only element. The Power’s Round 3 match with Essendon and Round 5 match against Geelong were both televised nationwide as part of the TV agreement with Chinese Central Television. CCTV is also televising the 25-week series The AFL Show. 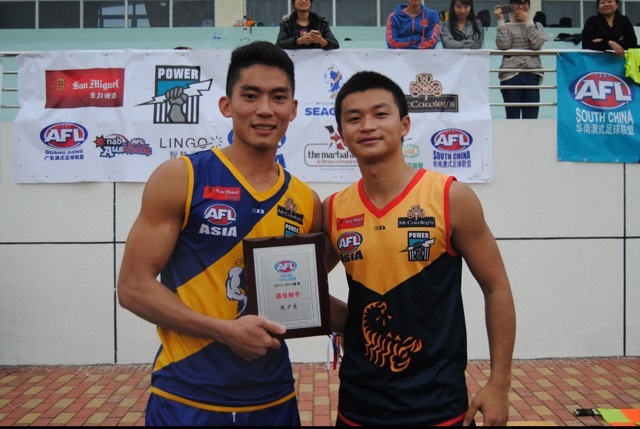 In addition to AFL scores and highlights, the Power’s Chinese international recruit Chen Shaoliang is featured regularly on the 30-minute program to share his experiences into Port Adelaide, the AFL, and living in South Australia. The following story originally appeared on Frederick's Blog and the original article can be found here. This is very timely given the first match for Premiership points will be played in Shanghai this Sunday. As one of the biggest media markets in Asia, China has long been a target for Aussie rules as authorities look to spread the sport abroad to new nations. Given the large Chinese population and their well-established enthusiasm for many different sports, they would seem to have a fertile ground for a grassroots footy following. China has embraced footy at a breakneck pace, as the first recorded game of Aussie rules was played only 13 years ago. The Beijing Bombers – a team made up of Aussie ex-pats in the Chinese capital – were established in 2004. They eventually grew a big-enough audience to help kickstart a local competition with three other teams in the Beijing area. Port Adelaide’s historic first AFL game for premiership points in China has sold out. Remaining tickets went on sale on Thursday afternoon at 2.00pm, and were sold within the first hour. With 24 days to go before the historic first bounce on Sunday 14 May at Shanghai’s Jiangwan Stadium, the successful sale of all tickets gives the club great momentum heading into the ground-breaking game. Australian Rules football has been growing impressively across India for a number of years now, driven in no small way by the drive and foresight of many people, most notably Sudip Chakraborty who was able to get the game accepted in states across India. Most commonly this saw small localised one-off tournaments or larger national events – almost all of which were singular annual events. The first national tournament, the Indian National Championship Of Australian Football, run under the guise of AFL India was held in Calicut (Kerala state) in 2012, then Goa in 2013, Mumbai in 2014, Kolkata in 2015 and again in 2016. These were the foundation blocks for which localised competitions could potentially grow. The Port Adelaide Football Club is delighted to welcome Premier Li Keqiang, Premier of the State Council of the People's Republic of China, to its first match of the season on Saturday. As part of the his state visit, Premier Li will, with Prime Minister Malcolm Turnbull, attend Port Adelaide’s AFL Opening Round game against the Sydney Swans at the SCG on Saturday afternoon. It follows an announcement by Prime Minister Turnbull in Shanghai during April 2016 of Port Adelaide’s intention to play a game for premiership points in Shanghai. That game will take place on May 14 against the Gold Coast Suns. Gold Coast SUNS CEO Andrew Travis today welcomed Tourism Australia’s partnership of the SUN’S game against Port Adelaide to be played in Shanghai in May. “We are thrilled to welcome Tourism Australia as the Official Tourism Partner of the historic match between the SUNS and Port Adelaide in Shanghai,” Mr. Travis said. “China is the number one international tourism market for the city of the Gold Coast, and increasingly both China and the Gold Coast enjoy a strong tourism and business relationship. 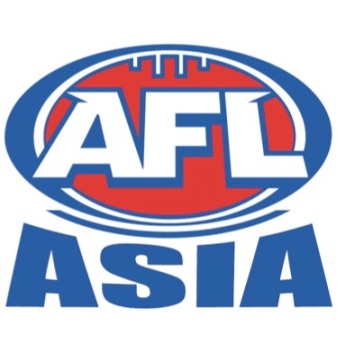 In its fourth year of operations, AFL Asia has further strengthened its ability to achieve its mandate of “growing footy in Asia” with the confirmation of its strongest committee to date, following a solid turnout at the recent Annual General Meeting. After a two-year term as AFL Asia Vice President, former Vietnam Swan and China Red/Beijing Bomber Grant Keys will become AFL Asia’s third President, following Darren Whitfield’s decision to step back in 2017 due to work and family commitments. Darren’s advocacy of local player development has left a massive mark on footy in Asia. His leadership has ensured the record number of locals now playing the game across the region is being fully supported by Asian footy’s governing body through new initiatives such as the All Asia Championship and local player quotas-to be introduced at this year’s Asian Championships.